This adds dialogue to Bryan Wilks, letting you adopt him. He is voiced using re-purposed vanilla sound files. There is currently no speech, disposition, karma, or other checks. You can adopt him starting at the point where you look for a place for him to live. If you have already placed him in a home, you can go there and adopt him from there. 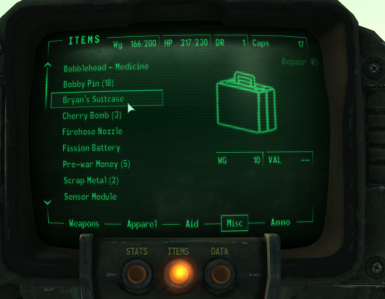 Added an inventory icon for Bryan's suitcase. Fixed "These!" miniquest, so the Entomologist path actually requires player to have the perk. Fixed his AI package while fired to the player home -- he will now sandbox there. Also Added a second "wait" command to sandbox in the immediate area. A mini-quest, titled "These! ", where you can teach him confidence to fight. Either kill ants in his presence, or talk to him with the Entomologist perk. Must be adopted by you, to start the quest. A suitcase for Bryan (added to your inventory after you adopt him). Dropping it will create a container. Trade with his "backpack" inventory; this is a second inventory. 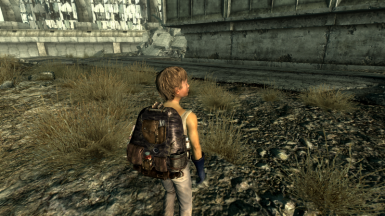 You can send him running to deposit his backpack's contents into his Suitcase, if that is placed in the world. Added ability to get him additional homes even after you adopted him yourself. Slight edits to his sandbox AI packages. A new mini-quest, titled "These! ", where you can teach him confidence to fight. 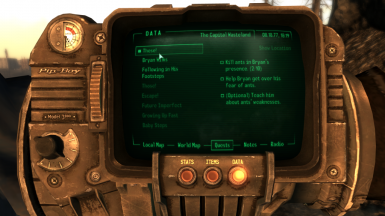 Either kill ants in his presence, or talk to him with the Entomologist perk. The quest is started when you adopt him yourself. 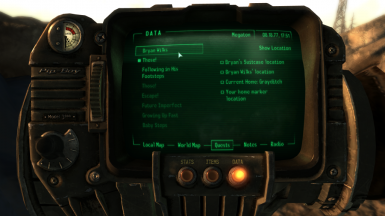 A tracking quest, titled "Bryan Wilks" that shows as objectives, Bryan's location, his suitcase's location (if placed), your home marker location (if set), and his current "home" if fired. This quest is activated after completion of the vanilla quest, "These! ", when you tell him the ants are defeated. A portable suitcase container for Bryan (added to your inventory after you adopt him). Dropping it will create a container. Trade with his "backpack" inventory (in addition to trading with his main inventory); this is a new second inventory. You can then send him running to deposit his backpack's contents into his Suitcase, if that is placed in the world. Fixed his AI package when fired to the player's home -- he will now sandbox there. Added a second "wait" command to sandbox in the immediate area. This adds dialogue to Bryan Wilks, letting you adopt him. He is voiced using re-purposed vanilla sound files. There is currently no disposition, karma, or other checks to adopt him. You can adopt him starting at quest stage 60, when looking for a place to live. You can also adopt him after you've placed him in a home, if you've done this in a saved game already, but not if you sold him to Paradise Falls. 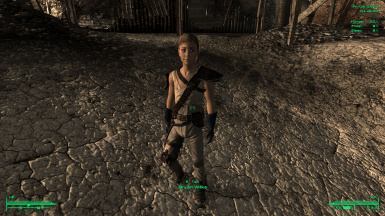 His new dialogue is voiced using vanilla kid voices. Adopt him.He can be a follower, or stay at your house. -- a player-specified home (this option isn't available until you've shown him where your home is, above). 3. 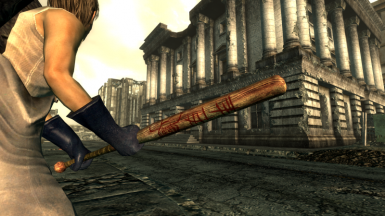 Start Fallout 3 Launcher, click 'Data Files', place a checkmark beside the .esp file. 1. 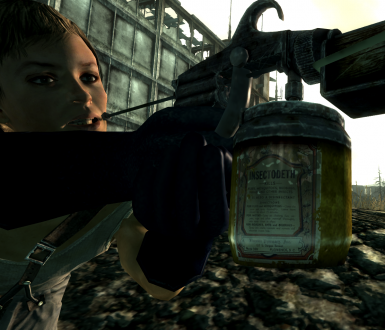 Start Fallout 3 Launcher, click Data Files, uncheck the .esp file. This adds a script to Bryan, and modifies the MS04 quest script to add some variables. 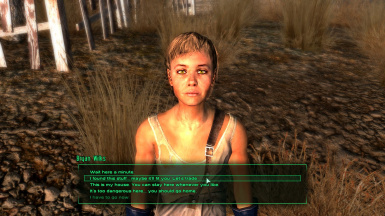 As far as I can tell with FO3edit, the Unofficial Patch does NOT touch this quest script, so it should be fine. Gifts4Kids has a special Bryan part; this works, but not while he is adopted or living at the player house; only while he is living alone, with Vera, or LL, or has been fired to one of the above. Gifts4Kids checks the quest status and I use those same flags, changing them to track where he is staying currently. 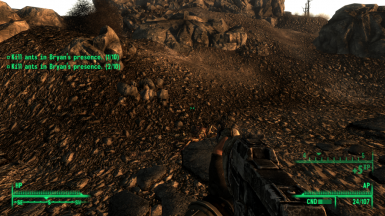 Gifts4Kids doesn't check on this mod's new "stayplayer" variable.